Let me start off by saying I would REALLY love to do stuff like this. It looks amazing, exciting and breathtaking all at the same time. This is the story of 5 adventurers looking for places no human has ever been at one of the most visited tourist attractions on the planet…The Grand Canyon. We follow Rich Rudow and his team as they seek out these places with ropes, determination and luckily for us, plenty of HD cameras. The movie took 18 months to complete and is now making the film festival run. Here is a description of the film and then take a look at the captivating trailer. The Grand Canyon is an immense place, almost unfathomable in scale, and one of the last places in the American West to be explored. John Wesley Powell called it the “Great Unknown,” having no idea what rapids, falls, or canyons awaited him on his first descent of the river in 1869. 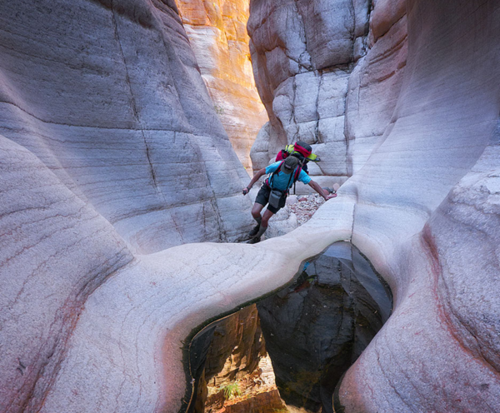 In the decades since, the Canyon has been a playground for dozens of explorers. 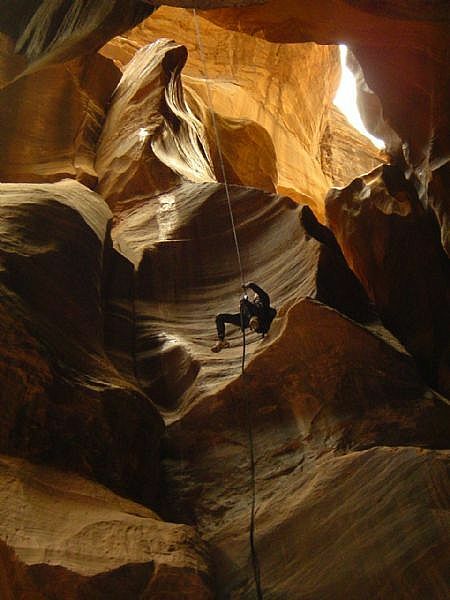 River runners, backpackers, route finders, lithic hunters and peak baggers have all laid claim to the Canyon’s iconic landmarks, often seeking out the prestigious ‘firsts.’ While many significant points of interest were being explored, there was one feature that was left almost entirely ignored: the Canyon’s innumerable technical slots. 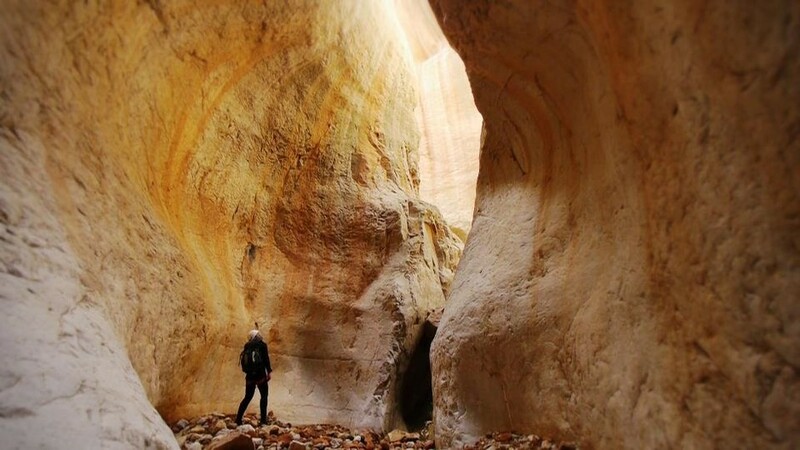 Deep within this vast wilderness are secret and intimate tributaries rarely visited by man, hiding some of the Canyon’s most remarkable features. The barrier to entry is steep. To explore them, one must have knowledge of backpacking, packrafting, rappeling, anchor building and off-trail navigation. The Last of the Great Unknown is the story of these slots, the canyoneers who systematically explored their drainages and the secrets hidden deep within their walls. Check out their website HERE and be on the lookout for what is sure to be an amazing documentary. This entry was posted in Trailers and tagged documentary, Rich Rudow, The Grand Canyon, The Last of the Great Unknown. Bookmark the permalink. Excellent blog! Do youu have any helpful hints for aspiring writers? I’m hoping to start my own website soon but I’m a little los on everything. Would youu propose starting with a free platform like WordPress or go for a paid option?